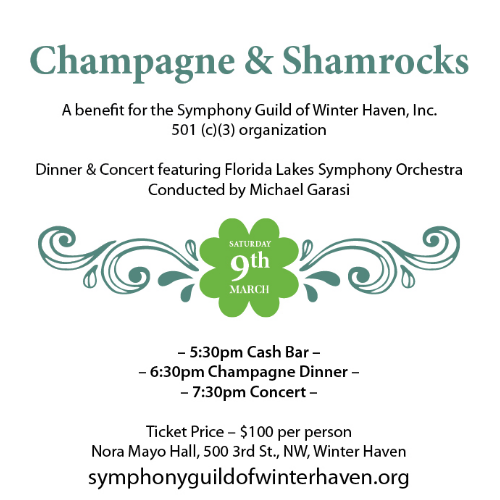 Dinner & Concert featuring Florida Lake Symphony Orchestra conducted by Michael Garasi. Proceeds benefit the Symphony Guild of Winter Haven Inc. a 501 c3 organization. © 2019 Central Florida Tix. All rights reserved.